The Grand Trunk Road may be one of Asia’s oldest and longest roads at 2,500 kilometres stretching from Kabul in Afghanistan to Chittagong in Bangladesh. 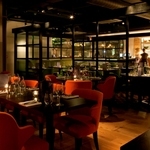 But now it has a spur running through London’s leafy South Woodford in the shape of Grand Trunk Road restaurant. 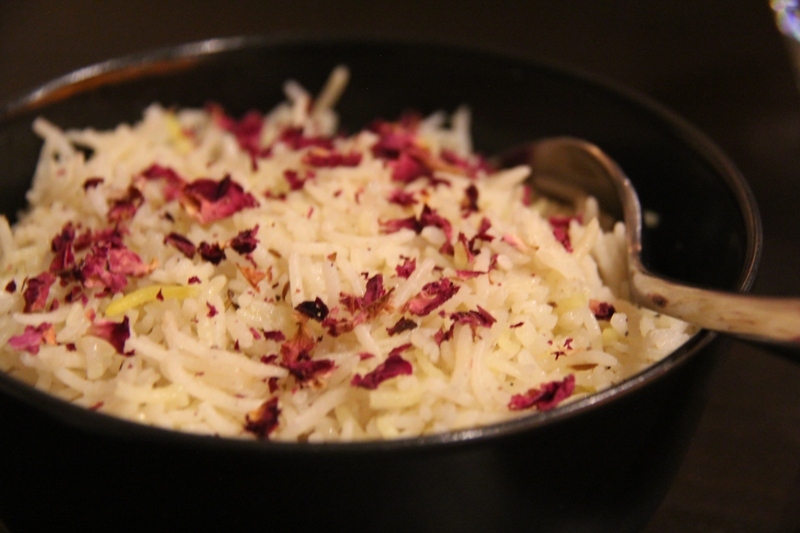 Created by Rajesh Suri, formerly of Michelin-starred Mayfair restaurant Tamarind, this is Indian fine dining for sure, but without the hefty Mayfair price tag. 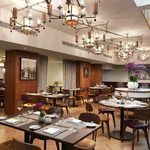 Reuniting the Tamarind team with Head Chef Dayashankar Sharma, Suri has pulled off a bit of a coup here by tapping into South Woodford’s affluent community and offering them Mayfair-quality food right on their doorstep. Nearly 12 months on from its opening night, the Grand Trunk Road’s sixty covers are filling up nicely for a Tuesday night. Suri materialises with a Blackwood’s gin and tonic, (part of his new partnership Gindian Summer tie-in with the spirits company) to accompany my basket of mixed poppadums. Not your common or garden tray of condiments for these of course, just four delicate bowls containing delicious sauces; tomato and cinnamon, beetroot with fennel, dill and yoghurt and mango chutney. We kick off with a couple of marvellous examples. 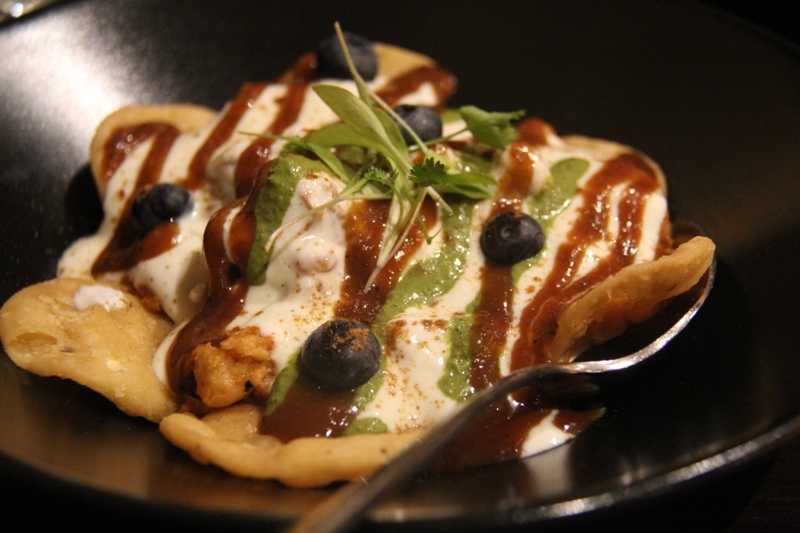 Delhi ki chaat (£6.95) a fresh chick pea salad with tiny wheat crisps buried beneath a sweet yoghurt and chutney dressing and Rawalpindi ka chapli kebab (£7.95) juicy barbecued chicken with baby spinach, coriander, spicy cream cheese and mint chutney. Other possibilities might have been Kekde ki tikki (£8.95) crab meat cake with lemongrass, curry leaves and potato or perhaps Punjabi aloo & paneer ki tikki (£6.95) potato and paneer cakes with sultana, ginger, coriander, green chilli and sweet yoghurt &tamarind chutney. 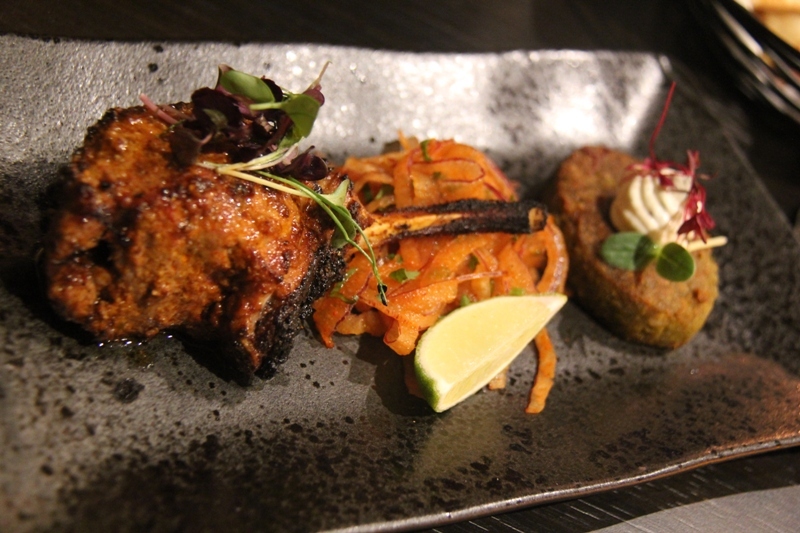 A pair of very chunky best end Peshwar ki lamb chops (£24) are silently delivered to the table now. Totally butter-soft with fennel, star anise, raw papaya and gram flour. An absolute tandoor triumph for me. Again, there are numerous tandoor/grill options I might have chosen including Punjab Ki tandoori machhi (£19.50) Monk fish with crushed mustard, chilli and lemongrass, or Kabul ka tandoori khargos (£17.95) boneless rabbit with long peppers, timur and kebab chini. With a two day advance order you might want to indulge in Sikandari raan (£64) slow-braised leg of lamb, browned onion and yoghurt and kashmiri chillies for 4 people to share. This is turning into a bit of a feast now as two more chicken dishes are proudly announced. Amritsari butter chicken (£16.95) a genuinely epic – tasting tandoor smoked chicken supreme with dry fenugreek leaves and a honey & fresh tomato sauce. Only slightly less epic is Punjabi murgh masala (£15.95) chicken thighs with ginger, garlic in an onion and tomato sauce. 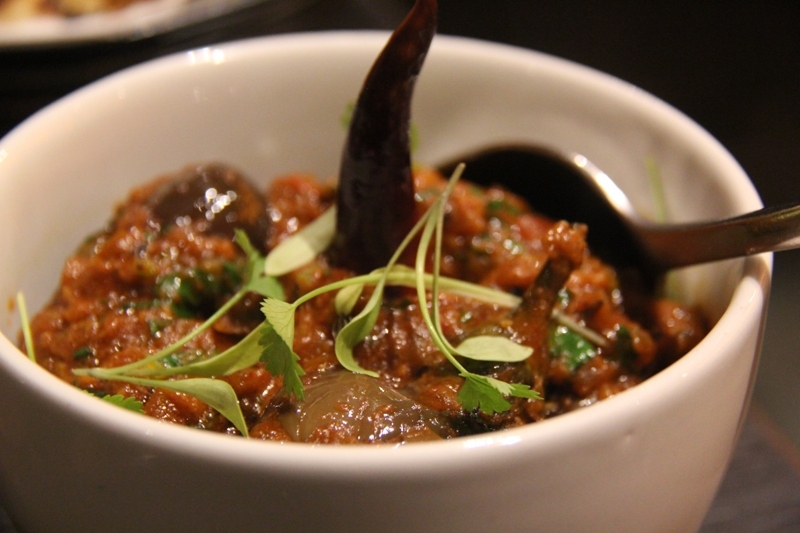 A couple of delicately divine vegetarian options follow; Kalonji baingan (£9.95) baby eggplant with dry chillies and crushed coriander in a masala sauce and the legendary dal bukhara (£5.75) slow cooked black lentils with tomato and fenugreek. All of these are accompanied by a proud bowl of Zaffrani pulao saffron rice (£3.75), the likes of which I have rarely witnessed. Each grain separate from the other. A true work of art. Even though we are now looking for the recovery room, Suri insists we try a small dessert. “I want you to taste the almond rice pudding I grew up with.” It was not a request we can refuse. But wait. Another surprise as Kolkata ke ananas (£7.50) materialises. 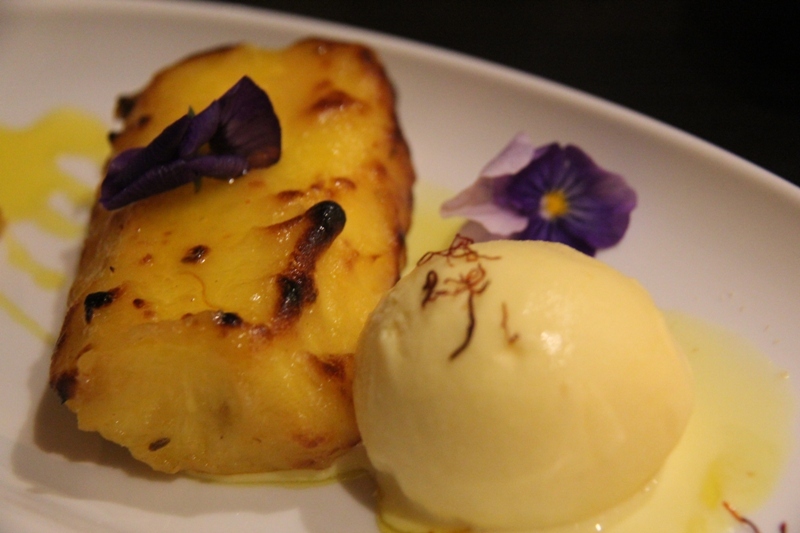 A tandoor-grilled pineapple marinated in star anise and served with saffron ice cream. 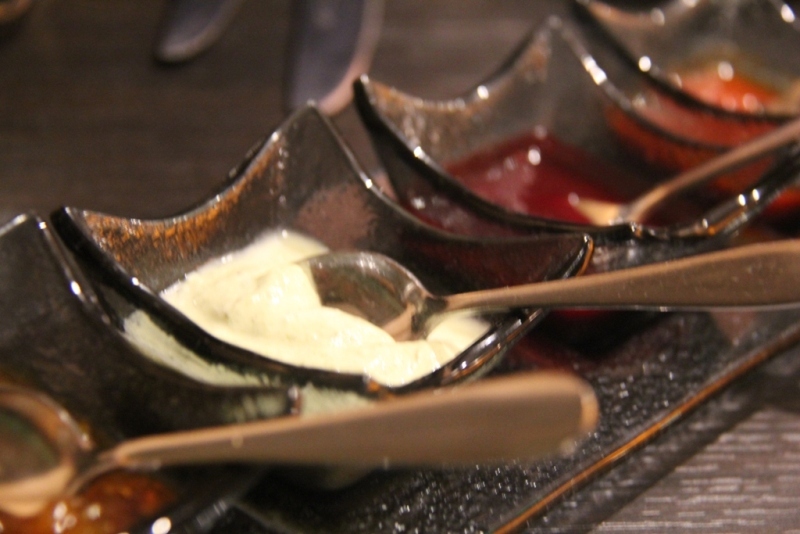 It is an impressive finale to an equally impressive culinary journey. 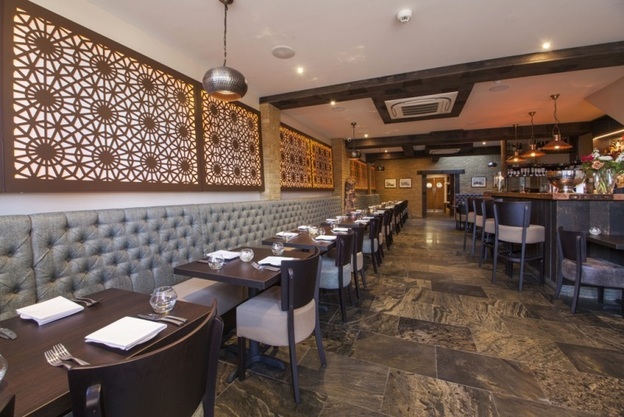 There is no doubting the care and quality at work at The Grand Trunk Road Restaurant. It may not have all the Michelin bells and whistles of Suri and Sharma’s former Mayfair enterprise, but the quality of the service and the cooking is quite magnificent. This is light years away from your average high street tandoori. The South Woodford spur of the Grand Trunk Road may yet become just as legendary as its longer sibling. The Grand Trunk Road Restaurant 219 High Road, South Woodford, E18 2PB. An excellent choice if I may say!